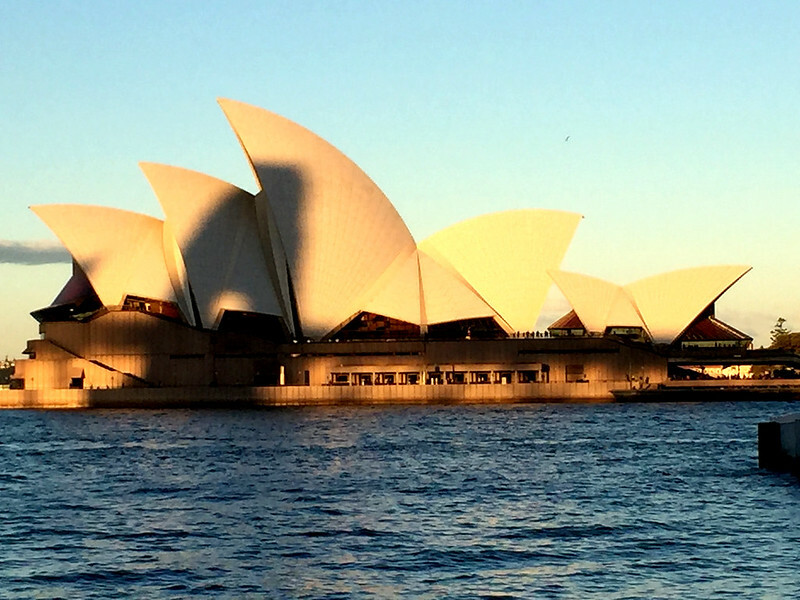 This blog will reveal the top 5 Sydney day tours that are the most popular for travellers. Of course what you choose will largely depend on your interests. It will also depend on whether you are travelling as a couple or as a family. Also, keep an eye on the right travel seasons for Australia. A lot of travellers heading for Australia will probably arrive in Sydney first. The flight over to Australia can be long one, so I’d recommend a 2 or 3 night stay. If you really want to get to know a city, then why not take a guided day tour. A guided day tour of Sydney will definitely help you to relax after that flight! And if you opt for a private day tour, you’ll pretty much get to see anything you want. Sydney is a big place. Believe me, you will need to set aside at least half a day for a guided tour. And by staying in central Sydney, you’ll be within walking distance to the ferries. If you’re looking for a really good tour company, we’d recommend Australia Luxury Escapes. For a morning tour, they will collect you from your hotel lobby at around 10am. The first stop on your city tour will be historic Rocks precinct. This is actually the birth place of Sydney. 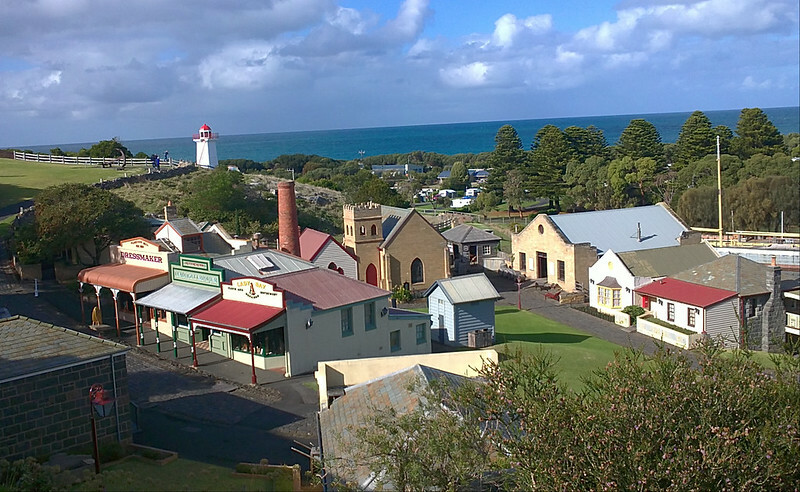 In fact, it’s the very spot where convicts built cottages – its also where the first church in Australia was established. Thereafter, the next stop will probably see you at the stunning Botanical Gardens. These gardens are right in the very heart of Sydney. They’re not actually that far from Australia’s first Parliament House, the Mint and St Mary’s Cathedral. 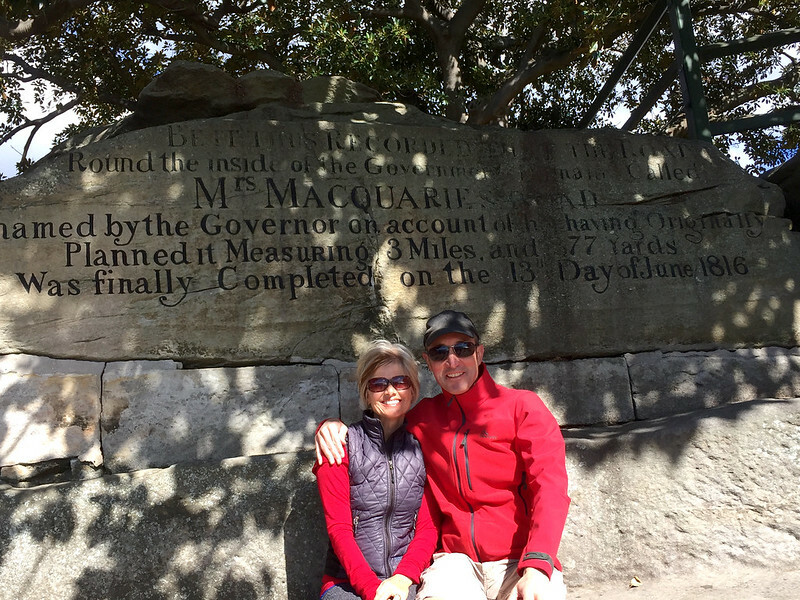 The tour will continue onto Mrs Macquarie’s Chair. Now here is your chance for that iconic photo – you and your partner sitting on Mrs Macquarie’s chair! Just a short walk away is the harbour’s edge. You’ll get some jaw-dropping views of the Sydney Harbour Bridge and Opera House. Next up, is a drive through Woolloomooloo, Kings Cross and into Rushcutters Bay. 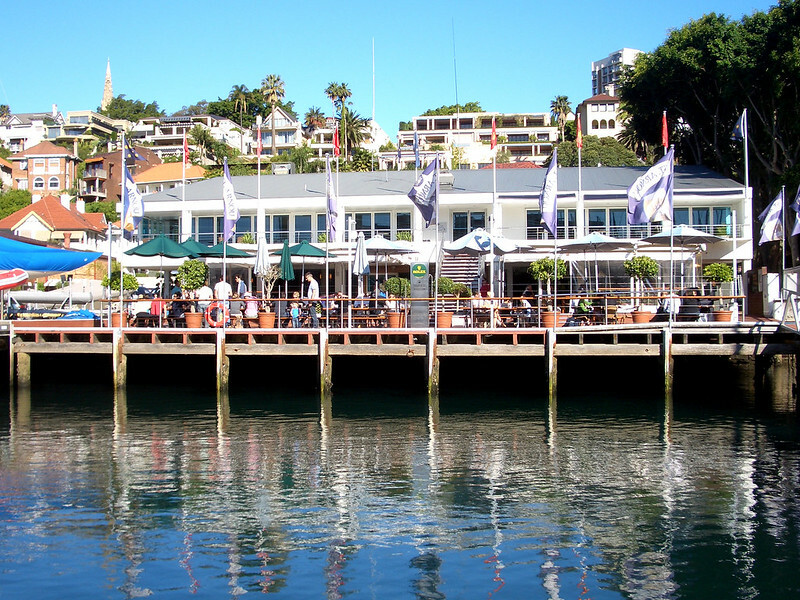 Its time for another great highlight – lunch at the famous Cruising Yacht Club of Australia. You’ll get a good chance to relax over lunch and enjoy the surrounds. 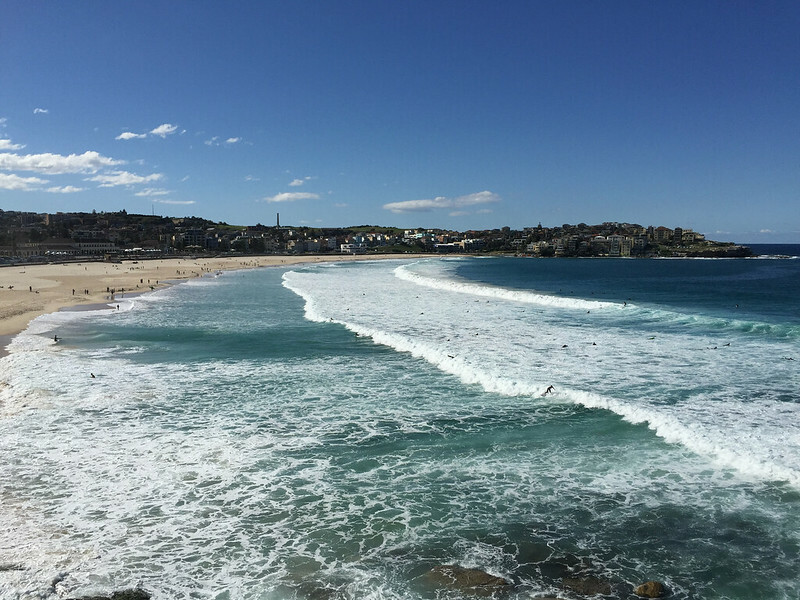 After lunch, the tour continues to one of the most beautiful beaches in the world – Bondi Beach! You could actually spend a whole day here, lazing around and eyeing up that magnificent surf. Bondi Beach is also famous for its great vibe of surf shops and beachside cafes. Time slows down in Bondi Beach – it has a great esplanade for relaxation. Also, what you might not know, is that there is a very famous deli at Bondi Beach selling, among other things, Russian and Polish products. In the afternoon you’ll be driven back to the Sydney CBD. The chosen route will take you through vibrant Oxford Street and the suburb of Paddington. This is a very boutique shopping precinct with some beautiful Georgian and Victorian architecture – its like stepping back in time. You’ll arrive back to your hotel around 3 pm. This Sydney Day Tour is guaranteed to give you a great idea of the city’s layout – and you’ll get to see some of Sydney’s best kept secrets. The tour leaves from the city in the morning. As in Option 1, you’ll be driven through the historic precinct. From there, you’ll travel North across the Sydney Harbour Bridge. The first stop along the tour is at Featherdale Wildlife Park. This is home to Australia’s favourite marsupials. By arriving early, you’ll beat the crowds and be able to get up close with Kangaroos, Koalas and Wombats. Thereafter, continue west towards the Blue Mountains National Park. Its here, you’ll enter a very secret clearing to enjoy a bit of home baking. You’ll get to spend a fair bit of time here exploring and seeking out the wildlife of the park. Believe me the views over Jamison valley will take your breath away! 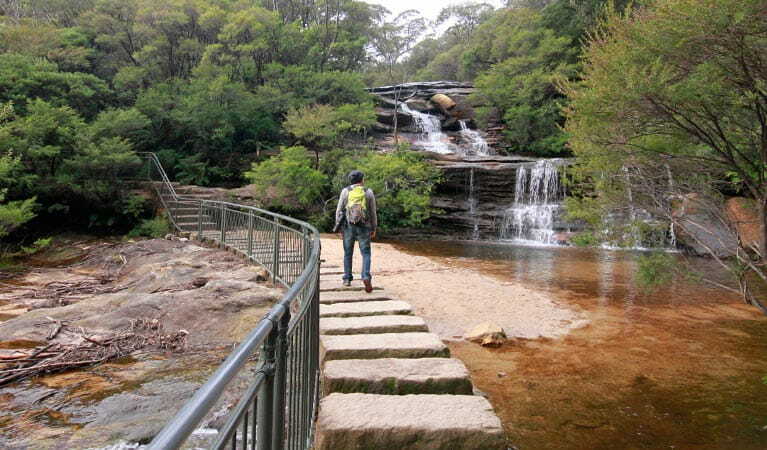 Its here you’ll really experience the true beauty of the Blue Mountains. Now’s your chance to slow down – to kick back over a lunch of local cuisine and wines. After lunch there is a great cliff drive towards the township of Katoomba. 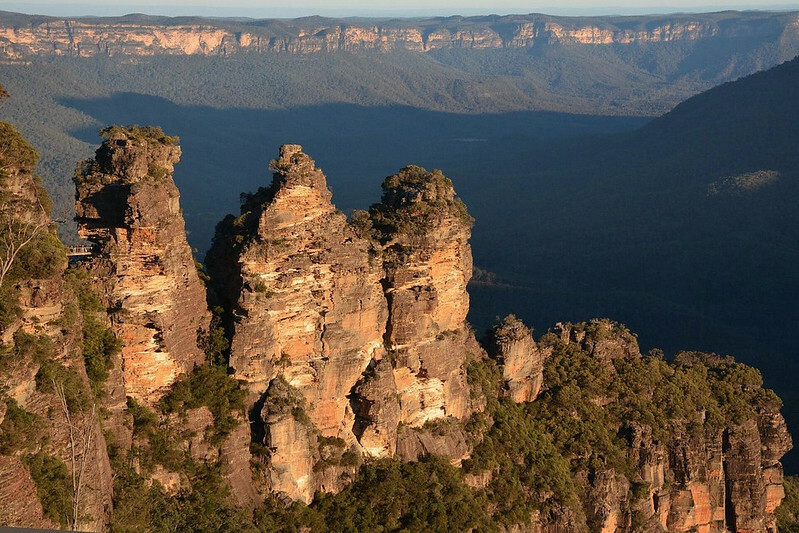 At Eagle Hawk lookout you will see the famous 3 sisters Rock formation. The views of the Jamieson Valley are simply awesome! Heading south now you’ll stop at Wentworth Falls. Your guide will take you down a well worn path towards the falls and more gorgeous views. There really is something about being surrounded by the local flora and fauna. It sure is guaranteed to refresh your spirits. In fact, you’ll really feel the spiritual essence of Australia and get a sense of its geological history. The van returns to the city around 5.00 pm. The Hunter Valley wine region lies north of Sydney. And when it comes to wine and food, this area is extremely progressive. The Hunter Valley Food & Wine Tour departs from Sydney. You’ll be driven north across the Sydney Harbour Bridge and through Sydney’s leafy Northern suburbs. You’ll get a brief stop to enjoy the views of the Kuringai National Park. Then you’ll travel via the historic Wollembi Road. Yet again, the scenery will inspire you. Morning tea is served before entering the Hunter Valley. If you’re a chocolate lover, you’ll enjoy a stop at Cocoa Nib, a boutique Chocolate Shop. Be prepared to sample some mind-glowing handcrafted artisan chocolate! And cheese-lover need not miss out either. You’ll get to sample 9 of the best local, Australian & International cheeses. The food is chosen to compliment the wine. Its a match made in heaven! A major highlight has to be the lunch at Bistro Molines a French-themed restaurant. The actual restaurant is set among the peaceful surrounds of Tallavera Grove. There are some terrific views of terraced vineyards and grazing cattle. The sweet treats are not over yet folks! The next stop is at Sabor Desert Bar. Now the the range on offer here is really huge. What could be better than getting over 50 deserts to choose from, not to mention over 24 flavours of Macaroons plus their award winning Sabor Chocolate Mousse. Audrey Wilkinson is one of the oldest wineries in the Hunter Valley. It is well known for those mouth-watering Semillions and Shiraz. Believe me, there’s something very special about wine-tasting in a private VIP room. After all the indulgence, you’ll be glad for the leisurely drive back to Sydney. Like the Sydney Opera House, the Sydney Harbour Bridge is an iconic landmark of Sydney. And many travellers love the idea of climbing this bridge. Its not for the fainthearted – especially if you have a fear of heights. However, this tour has been operating for more than 20 years. Safety is paramount. And the panoramic views you’ll get, are really worth the effort. In conclusion, if you’re in good health and aged eight and older, you’ll be able to do it. Climbs begin at regular intervals, from early in the morning through to the evening. All the harnesses and helmets are provided. As part of the tour, you’ll receive a photo of yourself on the bridge. That is such a great way to keep the memory alive. The main BridgeClimb is 3h 30min return. A guide will lead you along ladders and catwalks to the outer arch of the bridge to the top. You’ll find yourself 134 metres above the sparkling blue waters of Sydney Harbour. If you’re a little time-short, a quicker tour to the summit is BridgeClimb Express. This is 2h 15min return. Millions of visitors from all over the world come to see this masterpiece of architecture. 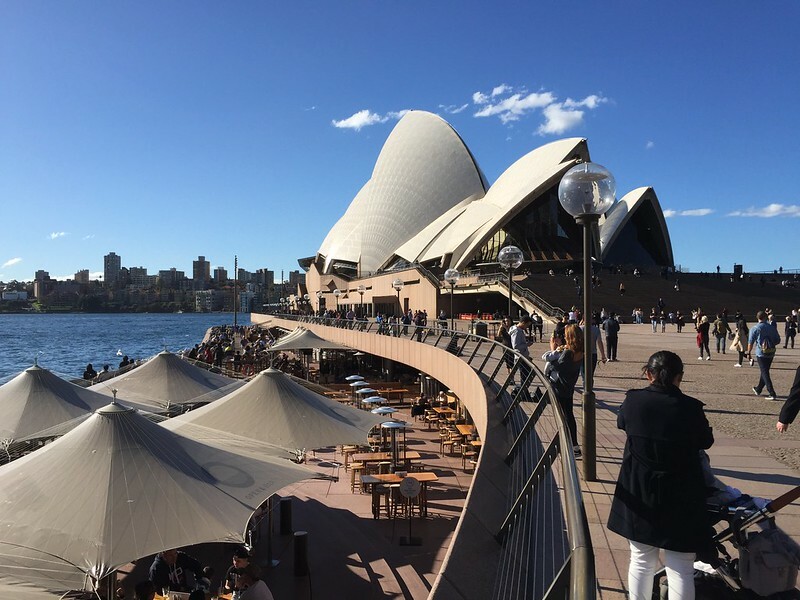 The Sydney Opera House is perfectly located on beautiful Sydney Harbour. It’s here that you’ll get world-class performances in opera, ballet, classical and other genres. But what a lot of travellers don’t know, is that they can actually get a look behind-the-scenes. In added bonus for travellers from many countries, is that daily guided tours are given in most major languages. Subsequently, you will get a choice of times to suit your travel schedule. The A Backstage Tour departs at 7am daily. You need to be there by 6.45am, (15 minutes prior to departure time). The 7am tour can take up to two and a half hours. It’s reassuring to know that safety is important. And because of this, enclosed, rubber-soled shoes must be worn. The tour ends a high note (excuse the pun) at the Green Room where breakfast is served. But better still, you’ll be sitting among and performers. How cool is that! 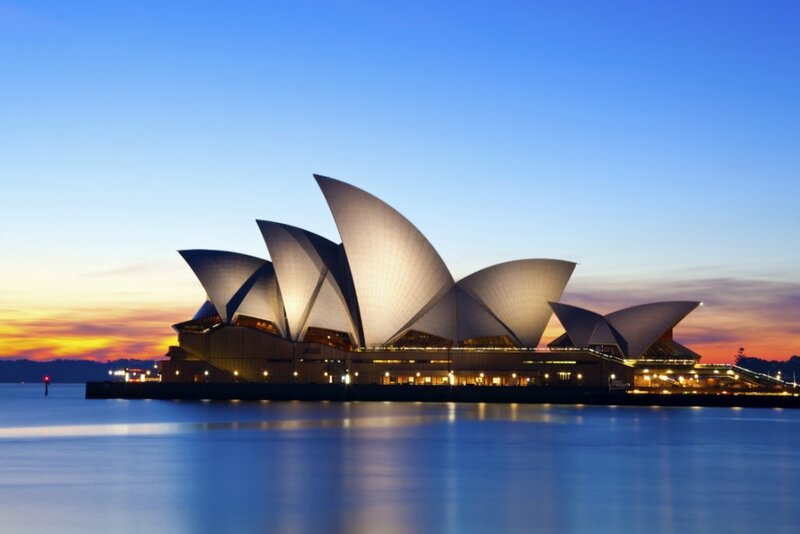 A number of Australia wide travel itineraries include Sydney – check out your options. 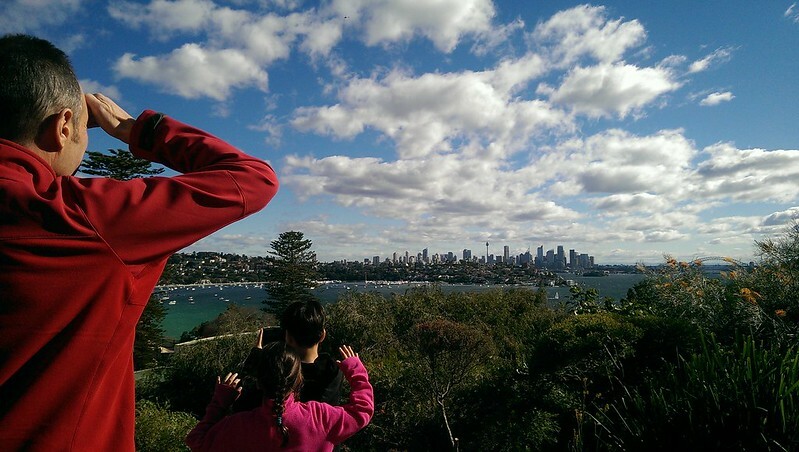 Happy travelling Sydney Day tours and check out other places in Australia! The distance from Sydney to Perth is around 4000 kms (or 2500 miles). From Melbourne to Dawin, you’re looking at 3500 kms (or 2200 miles). So, the best way to cover these long distances, is undoubtedly with a domestic flight. Qantas and Virgin Australia are the main players here. Their network is extensive and generally competitively priced. Some locations, such as Ayers Rock, are a ‘monopoly’ for Qantas, so the fares are much higher. 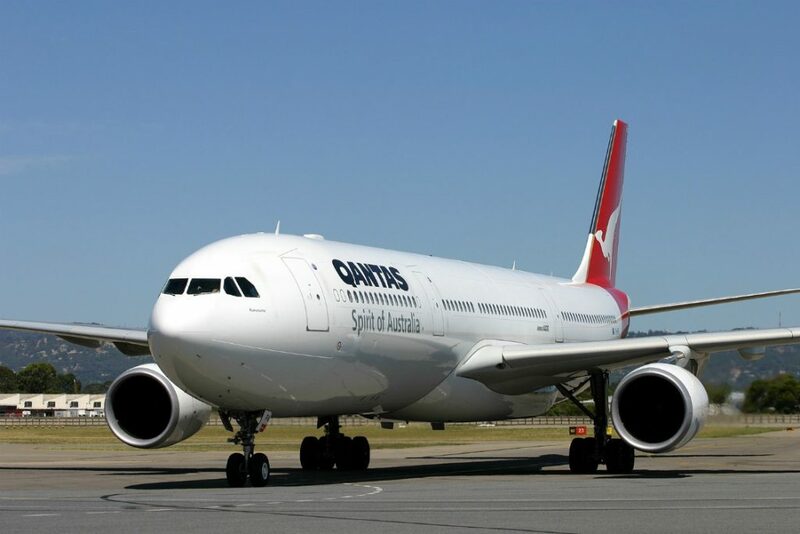 You’ll get the best fares between key locations such as Sydney to Melbourne or Brisbane to Cairns. To get the best fares, booking flights ahead is pretty much essential. But do bear in mind, that the lowest cost fares are generally non-refundable. If you want more flexibility, the fares will be higher. As to the subject of luggage, one piece of luggage at 23 kg, plus your hand luggage at 7 kg is included in the ticket. But, for super-special deals this might not apply. So, double check. Also, for pre-booked seats. Once you are at a key location, a rental car is a good transport option for getting around. You don’t want to travel for day – like I did between Brisbane and Port Douglas – a total waste of valuable, limited holiday time. Instead, the best strategy is to pick up a rental car from the airport terminal and head to your next destination. Sample: from Cairns to Port Douglas, an hour’s drive. The beauty of this arrangement, is that you can stop along the way and visit places like Hartley’s Croc Centre or the Aboriginal Art Centre. There is one key issue with rental car pick-ups at airports in Australia you need to be aware of – these are airport location pick-up charges! As most airports in Australia are privately owned, they do charge rental car firms up to 20% surcharge of the total rental amount. On top of that, there are stamp duties, one-way charges and insurance costs to consider. So, when booking your rental car, watch out for these. Sometime you can get an ‘all-inclusive’ rental car option. I would recommend those ones. They look a little higher at first, but they will save you the hassle and cost of blow-outs later on. For travellers with more time. 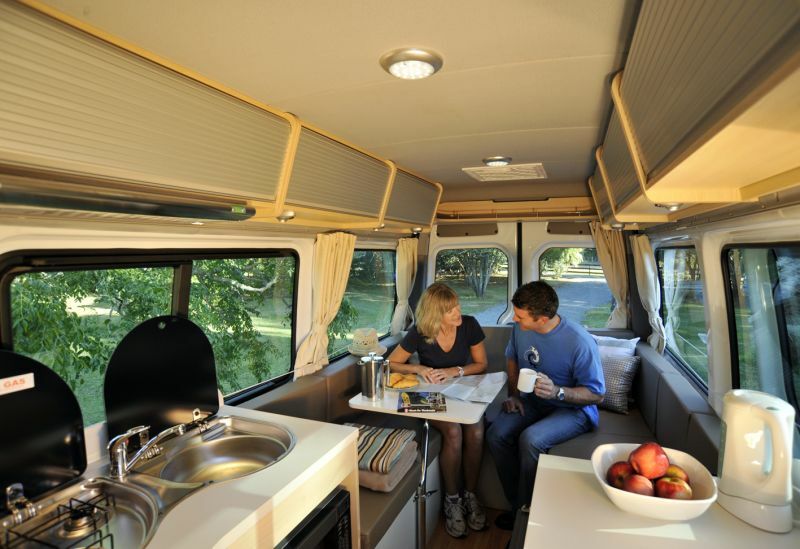 a really cool way to travel is with a motor home. We did this once in the Outback between Alice Springs and Ayers Rock. Because we had a large 6-berth, we needed to stay on the main road (sealed). The beauty with such a large vehicle is the aircon in the vehicle and the fridge – very handy for cool drinks! – essential for travel in the Outback. Believe me, during the day time, temperatures can reach 50 degrees celsius (110 Fahrenheit). Read about climate conditions. 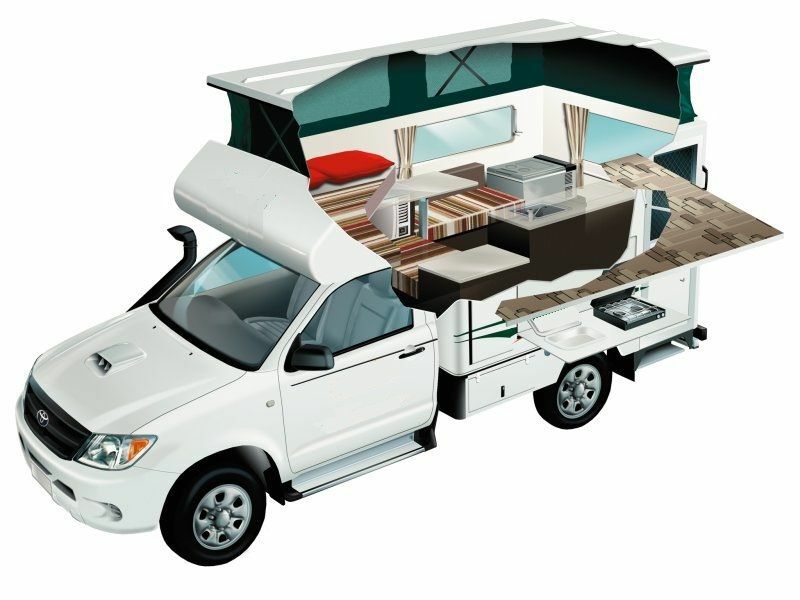 There are 4WD camper options available, which come at a higher cost, but you can go off-road with those ‘beauties’. Always keep in mind that there are some very remote areas in Australia. Plus there is a thriving local wildlife, such as snakes and kangaroos. So travelling during the night is not recommended (sometimes insurance companies will not cover an accident at these times). During our travels we meet people circumnavigating Australia – a very cool 26,000+ kms (16,000+ mile) trip. But if you really want to do this, you’ll need to give yourself plenty of time – like 6+ months. Taking this approach will let you experience Australia in tremendous depth, but you have to be well prepared. Having a satellite phone is a must-have for emergencies! 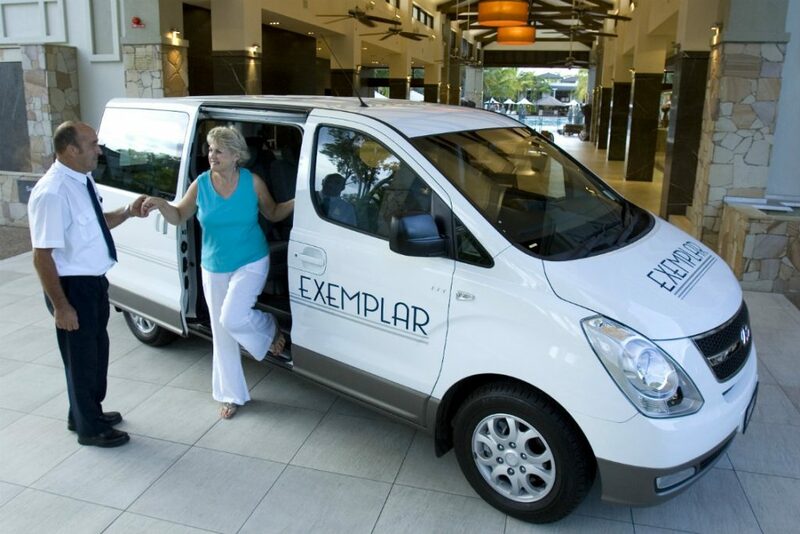 Many travellers use shuttle or coach transfers between key locations – either between the airport and the city. Another classic sample is between Cairns and Port Douglas. As I have already pointed out, a rental car is a good option – this allows you to be independent and flexible. However, a shuttle may turn out to be more convenient. Sample: you arrive in Cairns and have 2-3 nights booked in Port Douglas. With a coach/ shuttle service you get picked up at the airport terminal and transferred straight to your hotel in Port Douglas. No signing documents, no driving on the ‘wrong side of the road’ and often less cost. See a sample travel itinerary with this options. Once at location, travellers are be collected by the tour operators from the hotel. Then they either go out to the Great Barrier Reef or join a jungle tour into the Daintree Forest. For all of these, you don’t need a rental car. Even better if you have an early morning flight out of Cairns – you’ll enjoy a convenient and reliable transfer option back. Trains Journeys in Australia are one of the most iconic ways to explore the continent. 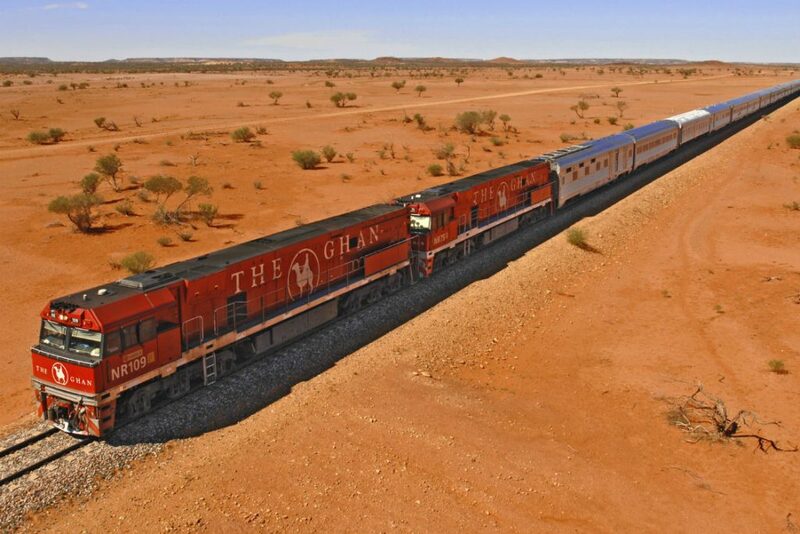 The most famous trips go between Perth and Melbourne (called ‘The Indian Pacific’) and between Adelaide and Darwin (via Alice Springs), called ‘The Ghan‘. Due to the large distances these trains travel, they are overnight journeys. You have different seating or cabin options available. Personally I would always go for the most luxurious way to experience this ‘journey back in time. There is something ‘grand’ about being on a train with first-class service. There are stops in between to experience ‘nothing’. Again, it’s somehow a wonderful experience stepping out of the train into the red desert of Australia. Smelling the earth and feeling the heat, before jumping back into the luxury of your train carriage. Happy travelling Australia with whatever travel mode you choose! When planning a holiday to Australia, the key question travellers often ask, is about the weather and the climate. So, when is the best time travelling Australia? Their is a common misconception that the summer season is the right time to visit Australia. Wrong! In fact, it’s often that the winter season is the right time for many of the key locations. We have already written about travel planning for Australia in general. However, this blog goes into far more detail about weather and seasons – you’re going to read some great info on how to prepare for a trip of a lifetime! What are the seasons in Australia? 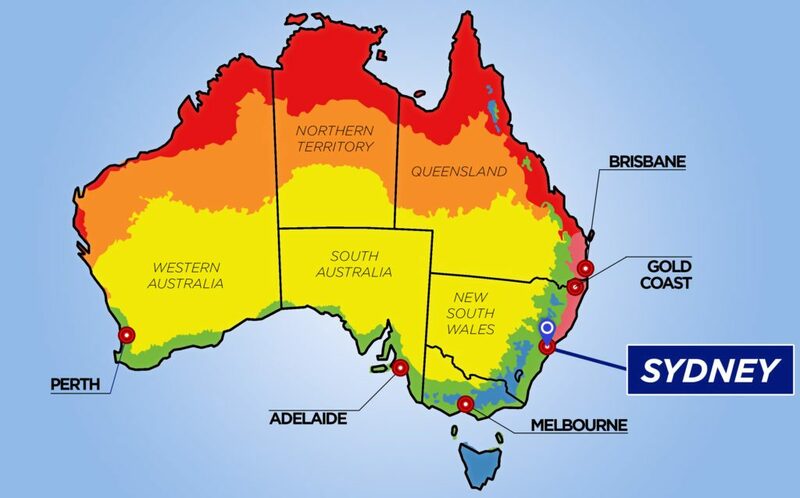 Summer in Australia is from December to February: Temperatures in the central parts and the Outback can be very high (50 degrees celsius/ 110+ Fahrenheit). Even Sydney can have 40+ degrees or 100+ Fahrenheit. The northern region, such as Darwin and Queensland with Cairns, December to March is pretty much the wet season – it’s very hot and humid with daily rainstorms. March to May heralds Australia’s autumn: This is generally a lovely time to travel most parts of Australia. The southern areas, such as Tasmania and Kangaroo Island are getting a bit cooler – and by that, I mean 20 degrees or 68 Fahrenheit. You may still travel the Great Ocean Road. Australia’s winter, from June to August. This is the peak season and best time to snorkel the temperate Great Barrier Reef. It’s also the best time to take a 4WD through South Australia’s Simpson Desert. The weather conditions in those regions are pretty calm. For the southern areas, this is the season that offers snow skiing in the Australian Alps! In tropical Australia, the dry season from May to October has clear blue skies and sunny days. Spring in Australia, from September to November. Another fabulous time for all the regions in Australia! In fact, it’s an excellent opportunity to watch for migrating whales and wildflowers. Another big plus for this time of year, is exploring the wineries of Western Australia’s Margaret River region. What climate do I have to expect at different regions? Sydney – The subtropical climate of New South Wales is defined by mild weather year round. But the central coast is more humid than other areas. On the other hand, further north, you’ll be in for much hotter weather. The eastern climate is fairly temperate. However, you will enjoy cooler temperatures in the south coast – and that’s because it is closer to the ocean. Northern Queensland – The North Queensland climate has two very distinct seasons – during the winter period, you’ll get warm temperatures and a low rainfall. Yet in the summer season, you’ll be in for a high rainfall and balmy temperatures. Now because of the warmer weather, winter here is more commonly known as the ‘dry’ season – this runs from May to October. It is at this time, that you can enjoy humidity, refreshing breezes and best of all, plenty of sunshine. Conversely, summer is known as the ‘wet’ season – not so great if you don’t like tropical rainfalls and the occasional electric storm. The summer season (wet) is from November to April. Ayers Rock, the Outback & Red Centre: Unlike the Top End, the Red Centre in Central Australia has a totally different climate. By that I mean it has very low humidity and little rain. In fact, the weather here is more traditional with four distinctive seasons. Summer is from December to February while autumn falls from March to May. Winter occurs during June to August while spring falls between September and November. What you should bear in mind, is that Australia’s seasons are the reverse of those experienced in the Northern Hemisphere. Although average temperatures are fairly reliable, there are some days that can be very hot and the nights a lot cooler. South Australia – Now the great advantage in with South Australia’s weather, is that there is rarely a ‘bad’ time to visit. The climate here, can be described as a Mediterranean – that means mild winters and warm, dry summers. The Average winter temperatures generally fall between 8 and 15 degrees Celsius, so it is still advisable to bring warmer clothes, especially for the evenings – the temperatures at night can drop more dramatically. Waterproof rain jackets and umbrellas are useful items to have in South Australia for the winter months between June and August. Melbourne & Victoria – Victoria’s weather and climate is renowned for being as diverse as the state itself. Victoria has a varied climate that ranges from hot and semi-arid in the northwest to cooler, temperate weather along the coast. The Great Dividing Range, which is the main land feature of Victoria, also produces a cooler climate in the mountains. Victoria’s weather is often wetter and cooler than Australia’s other mainland territories and states. So lays on a great summer from December to February. The Autumn occurs from March to May and the winter, from June to August. Spring occurs between September and November. 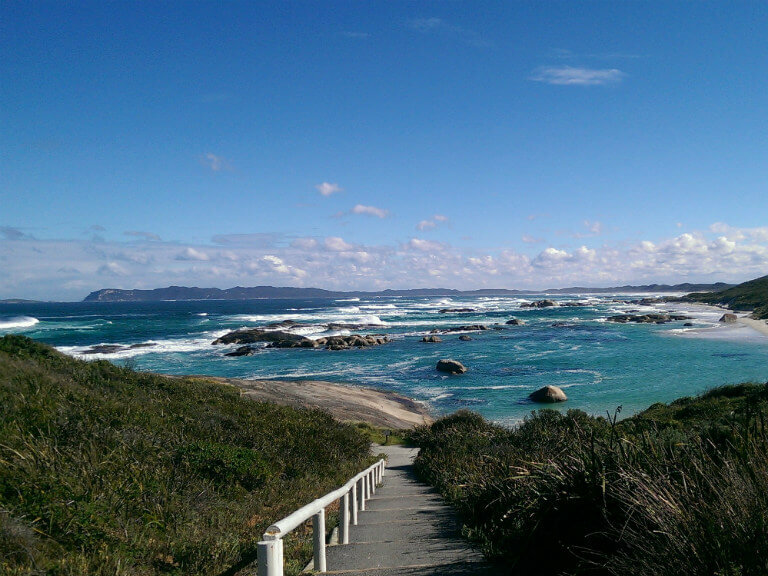 Tasmania – Tasmania’s weather and climate is moderate and the summers can be arm and sunny. But the winter temperatures are much cooler and crisp. However, this is seen to be part of the attraction for Tasmania. In fact, it was recently named Best Temperate Island by Conde Naste Traveller. Unlike some of Australia’s climates, Tasmania does feature four distinct seasons which means there’s always something new to discover, no matter what time of year you’re visiting. From December to February, Summer offers warm weather and pleasant temperatures that average about 21°C. These conditions are ideal for enjoying the island’s natural environment including beaches, fishing, boating and bushwalking. Western Australia weather and climate has to be the most diverse in Australia! The weather in the north has wet and dry seasons. In the south, there are four distinct seasons – summer, autumn, winter and spring. The northern dry season falls between April and September. That means long sunny days and clear blue skies. Temperatures range from 24 degrees Celsius to a maximum of 34 degrees Celsius. The wet season occurs from October to March and temperatures reach the mid to high 30s with high humidity. Bear in mind that Australia is a huge continent with very dramatic differences in climate and weather. Try selecting the locations and season, based on your interests. During the summer season be prepared that not all will go according to schedule. Planning and Preparation – that’s what its all about folks! Sure, you can travel Australia at any time of year, but do be prepared for varying climates. Yes, you can visit Uluru in Dec-March, and see the key sights. But I can pretty much guarantee that if you go in these times, you won’t be doing much in the way of outdoor activities during the day. Outdoor adventures will be largely confined to early mornings or evenings. In the summer, it can rain for days in the Northern Queensland region. 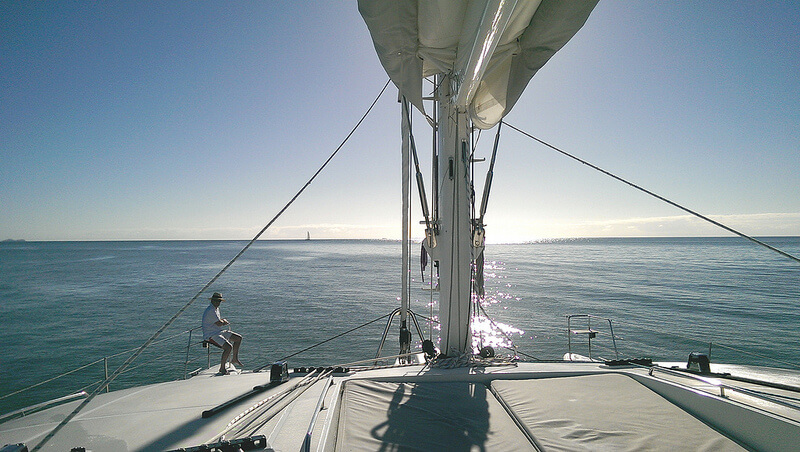 Believe me, its not much fun sitting around waiting for a break in the weather so you can fulfil your dream of sailing the Great Barrier Reef. 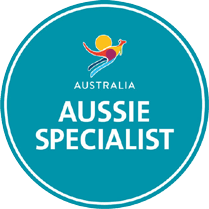 So its so helpful have all this climate information at your fingertips – that way, you’re guaranteed a wonderful holiday in Australia. Australia is famous for its long-distance road trips. Now, there are some we definitely would not recommend – these can be on endless straight roads with little to see. 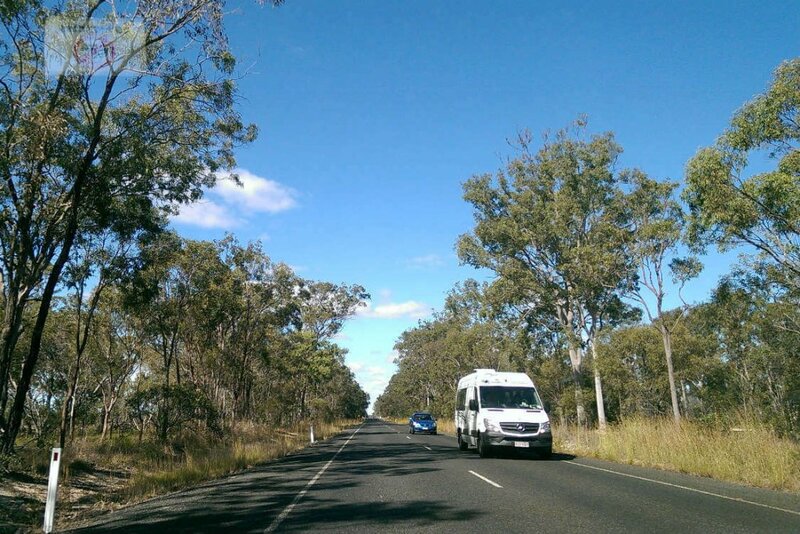 We still remember the 5-day drive we took from Brisbane to Port Douglas – never again! But there are other road trips we would highly recommend. One of these, is to travel the Great Ocean Road between Adelaide and Melbourne. The Great Ocean Road trip has to be one of the most spectacular coastal drives you’ll ever get to do. If you’re starting from Melbourne, you will begin the trip south-west of Melbourne in Geelong. However, you can also start the Great Ocean Road from Adelaide in South Australia. If you choose the 5-day option from Adelaide, you get to go at a fairly leisurely pace. That means you’ll be able to really soak in the coastal scenery and farmland. You’ll love the local vibe of the country towns you pass through. On this drive, variety is the key – and you’ll get this in bucket loads! Meningie is the ideal place to stop for a lunch stop right next to Lake Albert – which happens to be part of the Murray River. Its here that you can take a ‘refresher’ walk along the foreshore of Lake Albert and look out for the resident pelicans. They’re massive birds, but don’t worry, they are very tame. Stay for 1 night in Mt Gambier. Keep on driving along the Limestone Coast – this is a truly spectacular stretch of road. The Limestone Coast is home to the beautiful Blue Lake. Believe me, it’s an awe-inspiring moment when you first catch sight of the actual Lake. The density of colour is quite striking and it tends to change as the day wears on. You’ll totally understand why its such a popular place to take photos and to stretch your legs. Make sure you don’t miss out on a drive through the old part of the Kingston village. There is a very nice location there, by the ocean with historic buildings. Stop at the Greenhouse Espresso at 10 Huntingfield Avenue. What you’ll get is food made with love – a great place for breakfast or lunch – don’t get me started on the pastries! 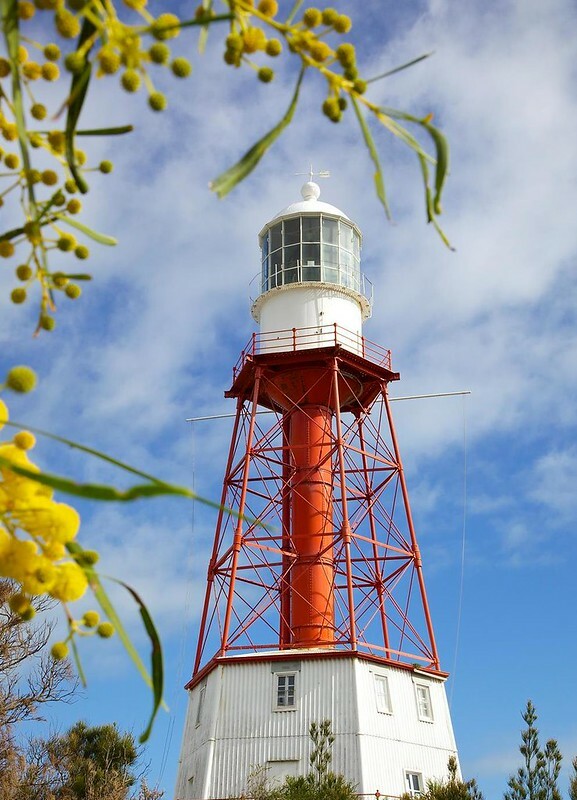 While you’re in Kingston, take a tour of the Cape Jaffa Lighthouse at 32 Marine Parade. But before you do, take a stroll over to the local visitors centre to check for opening times. If the lighthouse happens to be closed at the time, you still might be able to get a tour if you use a guide. It’s a pretty cool tour to do, especially if you have kids. Robe will really steal your heart. It is such a beautiful little seaside fishing town. In fact, its even more appealing if you see it in the off-peak season. You’ll quickly notice the quality of the shops – they’re definitely a step up from other places along the way. There are some quaint little art galleries here as well. But what really completes the scene, are the beautiful beaches. This is where the major business hub can be found. This is also where you can admire the architectural interior of caves. In fact, you won’t want to miss out on these Limestone Caves which are nearby. The Tantanoola Caves are just one of a number of options – they can be found 29km north west of Mount Gambier. Access is by way of the Princes Highway. 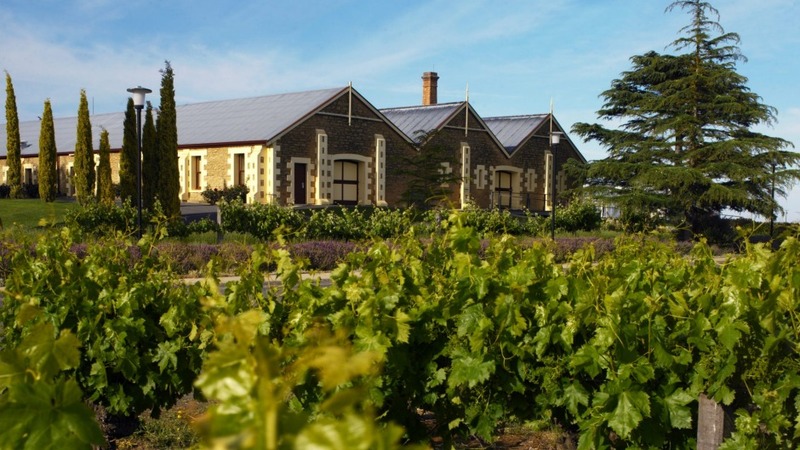 Now before arriving in Port Fairy, (a 4.5 hour drive) its definitely worth taking a side trip to the Coonawarra Wine area. You’ll find this to be such a relaxing experience- that’s because you don’t have to drive far between wineries – they are very close to one another. From Mt Gambier to Coonawarra, it is only 66km – 50 min one-way. The red soil and warm climate conditions in this area, produce premium wines. In fact the famous Wynns Coonawarra Estate winery and Di Giorgio Family Wines are right here. If you love wine, this is a must-do experience. As you head back on the route to Portland, then to Port Fairy, don’t forget to set your watch to Victoria State time – there will be a sign out near the town of Nelson, reminding you of this. Stay for 2 nights in Port Fairy. 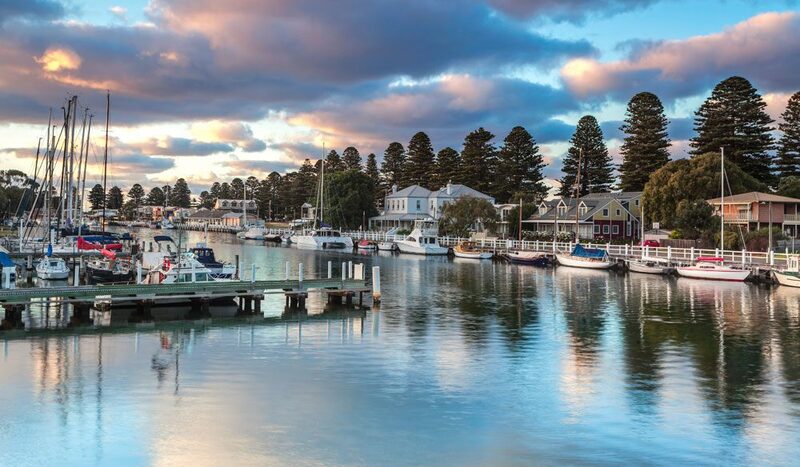 Port Fairy is a lovely little seaside town centred around a marina. In fact, the marina area is probably the most scenic part. It really is a lovely place to walk around, after a day’s drive. And its a neat place to stay, especially if you want to tour the Grampians. Sometimes you find the unexpected – there is actually a local surf school for surfers here. From Port Fairy to Apollo, you going to see the full splendour of the Great Ocean Road – it’s a magnificent coastal drive. The must-dos should always include a stop at The 12 Apostles. These are amazing rock forms that resembles human form and they are dotted together in a loose formation. At most times of the year, you’ll have to expect coach loads of tourists. But what you will get in spades, is incredible photo opportunities. There will be plenty of designated viewpoints. However, the Bay of Islands, which you will see on the way, tends to have less people. You can lump these two together. Now, if you are travelling with a young family, you really should stop at Warrambool. This is where the Flagstaff Maritime Village and Museum is located. Even adults will love this authentic step back into Australian history. In fact, its a very interactive experience – see the local seamstress at work and admire the fashion of the day. Every visitor loves the novelty of withdrawing a pound from the bank. Plus there’s nothing like a refreshing visitor to the local undertaker – yes, its all there folks! Bearing in mind that you’ve been driving along a winding stretch of road, you’ll probably welcome a staying for a night at Apollo Bay. Once again, you’ll be able to enjoy a seaside town with modern shops, cafes and generally good facilities. Stay for 1 night in Apollo Bay. There is still plenty to do before you head into Melbourne. Today, you’ll be travelling along the Otway Coast. This is a curvy coastal road and where you can stop to do the Otway Fly Treetop Walk. In fact there are a host of adventures you can do in the Otway National Park. 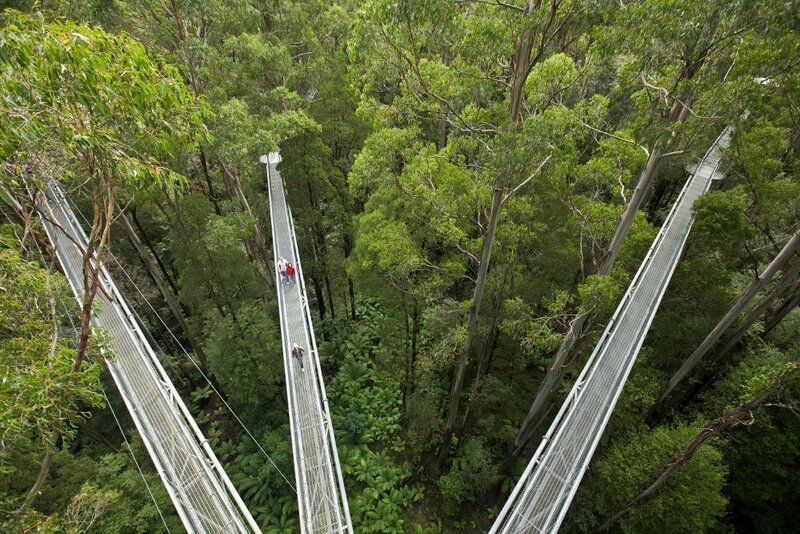 One of these is the Treetop walk. You’ll be walking 1.9km which takes about an hour to complete. You’ll need to be aware that this is a 30 metre-high elevated walkway – the views stretch wide and long over the rainforest, but it will take your breath away. Don’t miss the 47 metre tall Spiral Tower and the cantilever perched above Young’s Creek – a truly exhilarating experience as you gently sway with the rainforest canopy. There is a very convenient shuttle service between the Visitor Centre and the Treetop Walk – this runs every hour, on the hour. Remember to wear comfortable clothing and very sturdy footwear. Stop at Lorne for a refresher if you wish. Lorne has a quite a “big village” feel, so you might opt to stop at some smaller villages further on. For a bit of variety, Bells Beach is definitely worth a look. In fact Bells Beach is quite famous for its annual Easter pilgrimage of the world’s best surfers – as a spectator sport, this is ideal. Once you hit the M1 to Melbourne, you’ll be back onto highway style travel. Congratulations, you’ve just finished the 5-day Great Ocean Road Drive. It’s time to seek out the attractions of city life in Melbourne – food, shopping, amazing lane-ways and more! 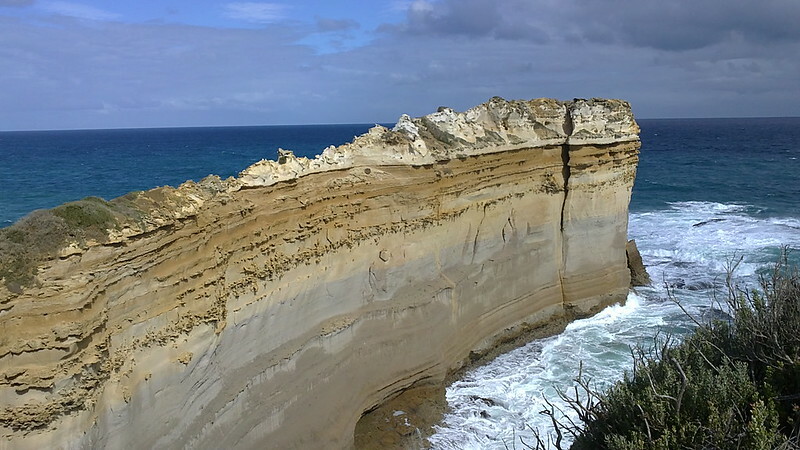 To find out more about Great Ocean Road itineraries here. Happy Traveling on the Great Ocean Road! Australia is a perfect place for travellers in general, but even better for honeymooners! This blog is all about finding the best honeymoon destinations Australia has to offer. Australia is a big place, so you really want to focus on some key locations with lots of activities. Make the most out of your limited time. That means you stay in one place longer, rather than moving around too much. Some of the key attractions for honeymooners such as BridgeClimb Sydney or Snorkelling the Great Barrier Reef are ‘classics’. But whatever you decide to do, you will need to consider the weather conditions in Australia. You might be surprised to know that the summer season (Nov – March) is not actually the best time to travel Australia. More details on this in Point 2 below. Many travellers will arrive in Sydney. After a long flight it’s a good idea to stay in one place for a couple of days. That way, you get to make the most of your ‘recovery time’ to get active and get a sense of the spirit of Sydney. It can be a frantic place with lots of business activities typical of a large city. But, it’s also a fascinating place to start your honeymoon in Australia. Once you are in the centre of ‘town’, you can use public transport to get around pretty much anywhere. We often recommend that to start your stay in Sydney, you go on a half day city tour – this will help to familiarise you with the grid layout. With Australia Luxury Escape tours, you will also get to cover Bondi Beach. However, if you choose their Ultimate City tour you’ll get to sail on Sydney harbour. How cool is that!? Apart from the the city highlights, there are also major attractions beyond the city – places like the Blue Mountains or the Hunter Valley – they’re only only a couple of hours away. Don’t bother renting a car and driving around yourself. It really is best to join a guided trip – so much easier and convenient. You will save so much of your valuable time – plus you’ll avoid those nasty ‘toll road’ charges leading to outside areas from Sydney. And whatever you do, don’t try to self-driving state by state yourself. Australia is a vast continent and believe me, it’ll take you ages – especially if you only have a couple weeks! By far, the best way to move around between key locations is by using domestic flights. Although there are some flights to Ayers Rock and Alice Springs that are probably overpriced, as far as the rest of Australia goes, domestic flights are very competitively priced – remember, you are covering very large distances. Let’s touch briefly on Climate. As previously mentioned, there is a huge variation of climate across Australia. The southern areas could have a dry spell, but the northern Australia areas have their rainy season. The best time to visit Northern Queensland is in the winter season (from April until September). You can also travel outside those times, but you will have a much more enjoyable honeymoon experience if the weather works for you. Most travellers head for the tropical part of Australia for the snorkelling on the Great Barrier Reef as well as the Daintree Forest trips. There is so much more though! The key advice we can give, is to stay at least 3-4 nights in Port Douglas to make the journey north work. Fly into Cairns Airport and either get a rental car (for short drives) or just use a local transport coach. We love Port Douglas, and despite it being quite touristy, it has such a lovely relaxed vibe -just perfect for honeymooners! You will get a wide range of accommodation options. These may include apartment style or boutique hotels such as The Peninsula. But for something really special, like a honeymoon, I’d go for something like Silky Oaks lodge any time! 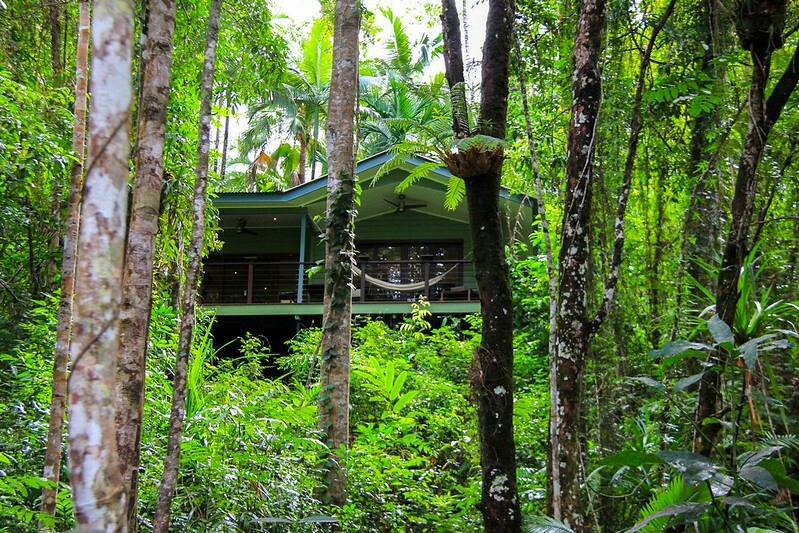 Silky Oaks Lodge is located outside town in the rain forest, so you may want to use a rental car. 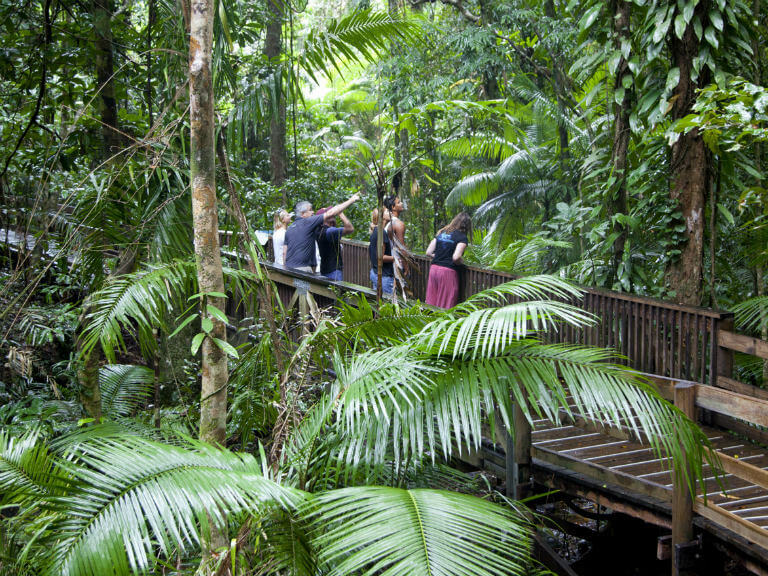 That way you can spend time at the Mossman Gorge, Wildlife Habitat or at Hartley’s Croc Centre! For a major draw-card like the Daintree Forest, I would definitely recommend a local tour with small group numbers. You’ll cover so much more when its personalized. Next, we’re off to the ‘big red’! 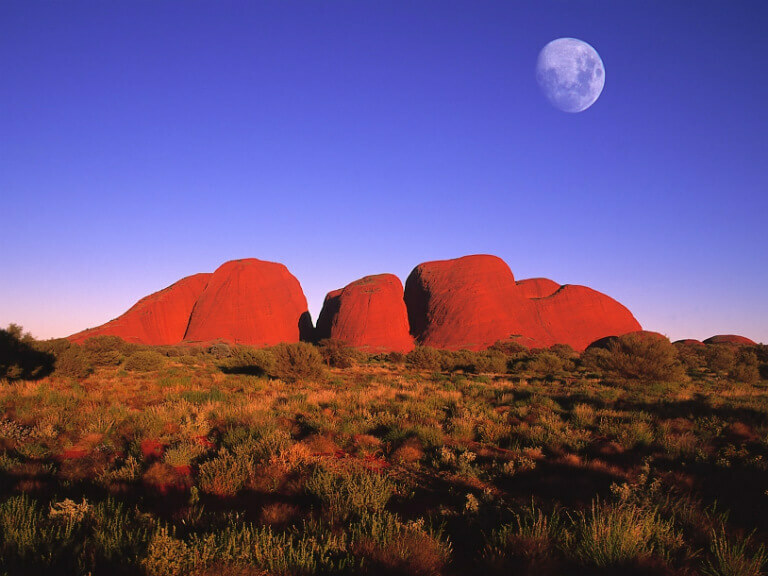 There are direct domestic flights from Cairns to Ayers Rock and Alice Springs. It often works quite nicely to fly into Ayers/ Uluru and out of Alice Springs. 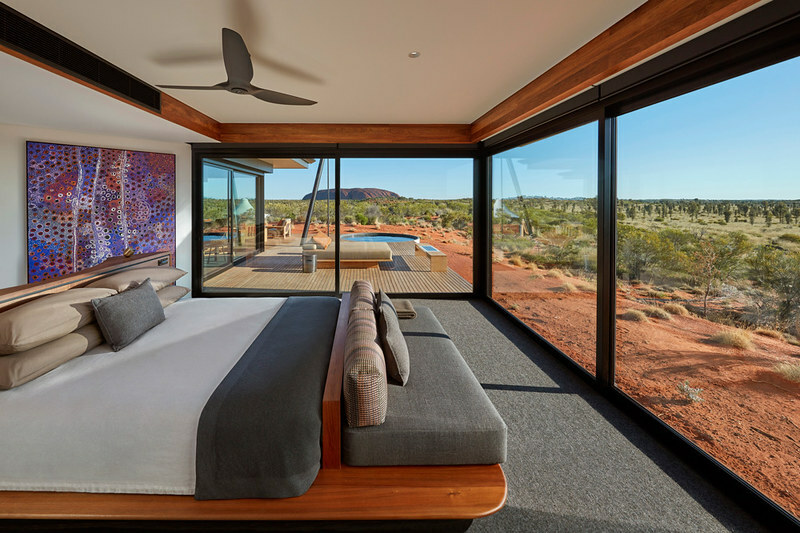 Unfortunately there is a kind of a monopoly in Ayers Rock (one hotel group owns the place), so prices are high. Alice Springs has better prices, but it’s about 500 kms (300 miles) and 5 hours drive one-way to Uluru! This can be done, as the road is very straight. But it’s a tedious drive. 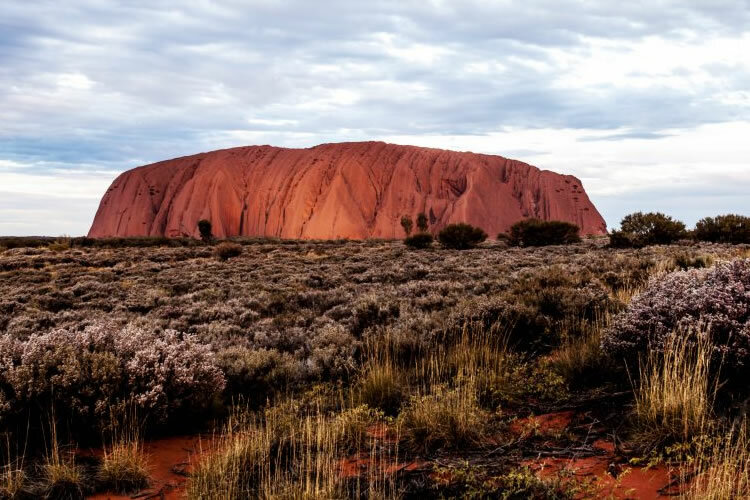 Once you arrive in Ayers Rock, you can pick-up a rental car from the airport and start exploring. The best time of the year for this area, is winter (April-Sept). If you need to travel during other times of the year, be prepared for extremely high temperatures. Also, big-fat blow-flies can make life really miserable when you’re out walking . Believe me, these guys have no fear! You’ll need to purchase a sun hat with netting. Apart from those few negative points, this part of Australia has a magic all of its own. To absorb the spirit of Uluru, Walk around ‘the rock’ – this is best done in the mornings. Or you could visit the ‘Olgas’ and ‘Twin Sisters’ during sunset. Go with a local aboriginal guide to explore the local history, culture and stories – a lot of folks find this amazing. There is an array of activities and tours to do. As to accommodation, you do have limited options. From ‘Lost Camel’ to ‘Desert Gardens’ to the ‘Sails in the Desert’ hotels, all these are owned and operated by the same hotel group. If you want something special, check out Longitude 131. Yes, it is priced accordingly, but you won’t remember the price, but you’ll never forget the once-in-a- lifetime’ experience. That’s what a honeymoon is all about, right!? After the colour red we get you to the colour blue again! Heading south with a direct flight from Alice Springs to Adelaide. The capital of South Australia is worth a stay for 2-3 nights. You can use it as the jumping board to head over to Kangaroo Island. It’s an often forgotten place in travellers itineraries. Since I’ve been there I was ‘hooked’. The place is special. They call it the ‘Galapagos of Australia’. If you head over from Adelaide use the fly-fly option please. Going all the way by ferry (and back) is a very long haul. If you have a bit more spare time (and cash) then spend 2-3 nights on Kangaroo Island. A place such as Southern Ocean Lodge is yet another ‘special’ place you might want to consider. In any case you want to join a local tour. Operators such a Kangaroo Island Wilderness Tours doing a splendid job. Reason why? They run their trips in small, personalised numbers and have knowledgeable local guides. Last but not least… back to one of Australia’s biggest cities. Most honeymooners love trying different cuisines – hey, we all do!. So that alone, makes Melbourne is an amazing place to experience the local food scene. From Italian to Greek, Spanish to Japanese, Australia has attracted so many immigrants over the past 200 years. Spend some time walking around the busy streets and corner in the Flinders area. You will see, smell and taste the world in Melbourne. As with Sydney you might want to consider a half day city tour to get familiar with the local scene. Well, with those 5 key places for Australia you would have cover quite comfortably, some wonderful key highlights in 10-14 days. To get started with your planing and see your options in more details, check out our Australia honeymoon itineraries.